Skoda’s SUV offensive is set to continue apace. With the new crossover, the Czech brand is presenting another new model that will expand its SUV range, complementing the successful of their existing Kodiaq and Karoq models. 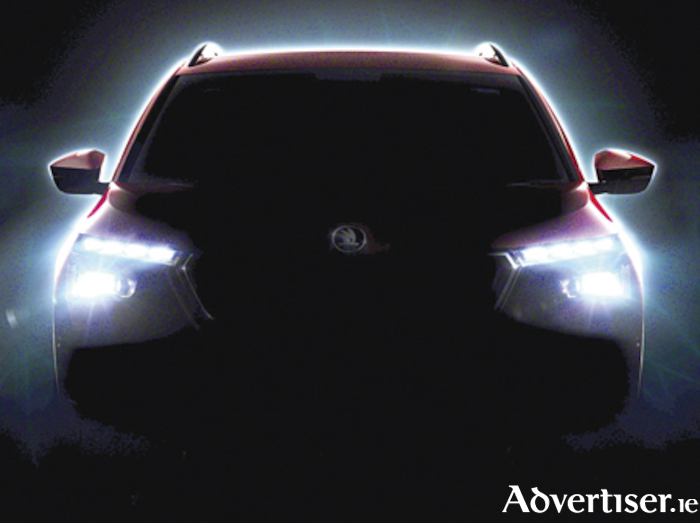 Skoda has released a teaser image showing the vehicle’s silhouette. The new SUV model will have its world premiere at the Geneva Motor Show on March 5. The image provides a first glimpse of the front section and also shows the distinctive new LED headlamp design with separate daytime running lights at the top and integrated dynamic indicators. Skoda says that the new model offers the best of two worlds. It combines the advantages of an SUV, raised seating position, better overview, more comfortable ingress and egress, increased ground clearance with the agility and handling of a compact car. It claims that this would make the Skoda urban crossover model an ideal car for the city and beyond. Based on the Volkswagen Group’s Modular Transverse Matrix (MQB ), this Skoda model promises new assistance systems along with many simply clever features – one of the brand’s hallmarks, along with the spacious interior.